Home → CAD Engineering Blog → Our CAD engineering software just turned 25! 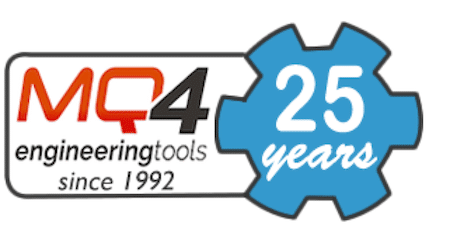 Our CAD engineering software just turned 25! Since 1992 we’ve been providing engineering companies with a simple and quick way to create 2D, Isomeric and 3D drawings. Boy has timed flied and we remain dedicated to make Mech-Q your #1 choice for engineering software for many more years to come! CADavenue is committed to providing premium technical support. Download our free trial of our Mechanical Software today. Don’t have CAD? Choose our AViCAD Solution – It’s full CAD with Mech-Q included! How does Mech-Q compare with other products? There are definitely many piping programs out there to choose from. Alhough many depend on complex datbases and require that your drawings be attached to the program itself. The big advantage of Mech-Q is that it creates static drawings that can be easily shared with coworkers and consultants, even if they do not have Mech-Q installed on their machine. How long does it take to learn Mech-Q? This depends on your CAD experience but even those just entering into CAD, Mech-Q is so well equipped with tools to get you productive, that even beginners can start producing drawings within a day. Of course beginners will need to also learn some basic CAD editing to go along with Mech-Q such as copying, erasing, printing ect..
Do you also sell CAD by itself? We sure do. AViCAD is a new bundle we sell which includes both Mech-Q and CAD all in one package. In fact if you do the math our IntelliCAD based application won’t cost you anything extra – we include this 2D and 3D complete CAD application at no extra cost to you. It’s a perfect solution to those who don’t have CAD or need affordable CAD or maybe just someone wanting to add another CAD workstation in their office. AViCAD looks just like AutoCAD – is it legal? Yes, it it completely legit – AViCAD is actually a member of the IntelliCAD consortium which was formed in the late 90’s after the FTC announced an antitrust settlement in 1997 which prohibited Autodesk from acquiring it. We get it. That’s why we also offer Mech-Q as an add-on. 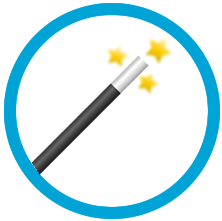 It integrates into either your Ribbon or Classic toolbar. We also offer the add-on to BricsCAD and IntelliCAD users as well. Our Full Mechanical Suite includes everything you’ll need to get started and runs in AutoCAD 14 -2013. But even if you don’t have CAD, we’ve got you covered. Our new standalone bundled with Mech-Q with a CAD application included. 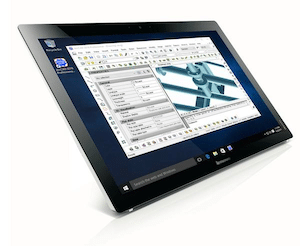 It is fully compatible with the latest AutoCAD® 2012 DWG format.